I love a cool fruity drink like this Peach Lassi/Smoothie to tide myself and the kids over around 3pm. This hour is well past lunch and a long way from dinner so something small to fill that gnawing in your tummy is perfect. The fact that this is healthy and ready in 2 minutes is also perfect. If you do not have peach nectar/juice you can substitute a tropical juice like Splash. Throw all ingredients into blender and blend until smooth. Serve immediately while chilled. Enjoy. I am loving all these peach recipes I am seeing. Looks great Ramona! Yummm. Now I know what to do with all of my fresh peaches. I wish I liked peaches. They are so abundant this time of year. The smoothie looks yummy, I bet I would like it. Congrats on the feature on foodista!!! YUM! 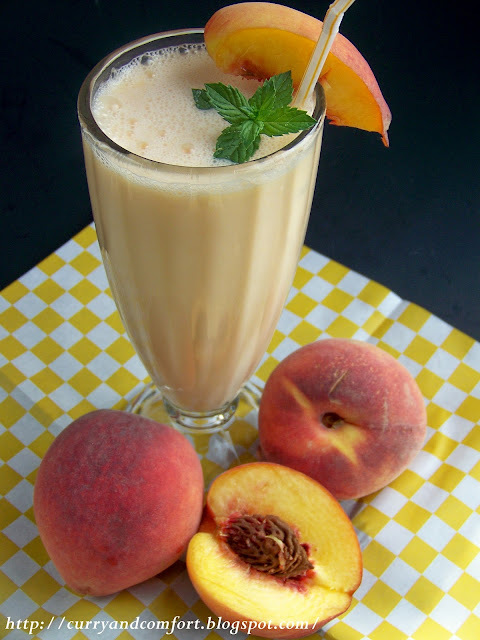 I love traditional lassi, but this peach version sounds amazing! And congrats on being on Foodista! HUGS! 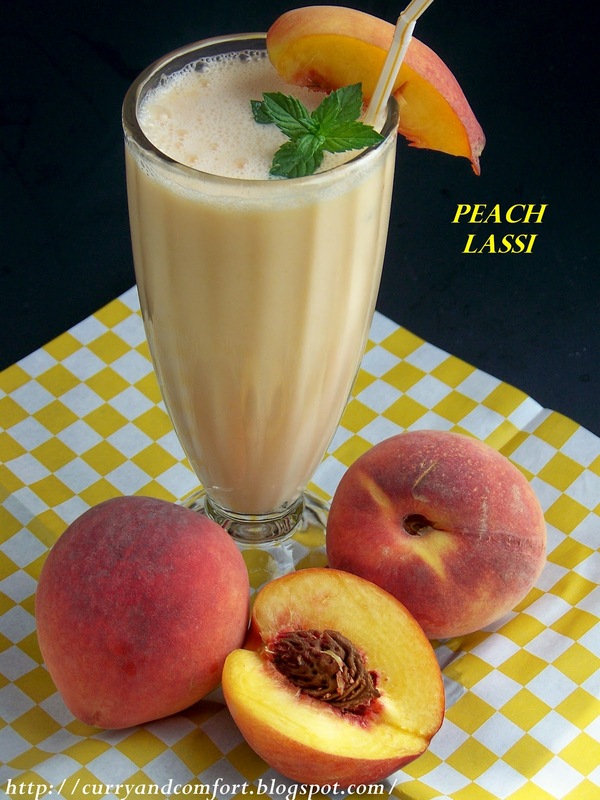 I am a big fan of lassi and I love that you have added peaches to it. Love this twist! 3pm is always my afternoon snack time too. Mango lassi is my special treat when we go to Indian restaurants. This is a great snack; like a shake but counts as a fruit serving. Yum! Sounds so refreshing and delicious! My girls will love it! Congrats on the feature - yay! Mmmmmmm....another fabulous recipe for my favorite summer fruit! So delicious and not calorie laden :) Congrats on your Foodista feature! Just bought a whole bunch of peaches and these lassi is calling my name! The touch of cardamom sound perfect! 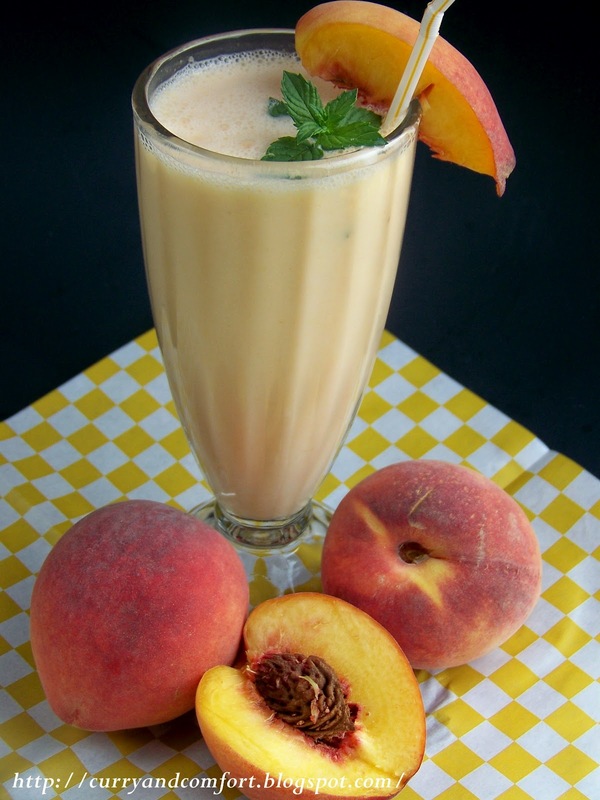 Now peach lassi is new! Never tried it but after your post I just have to! I would probably add a splash of vodka for an adult beverage. Also Congrats on Foodista!